It has not been a good week for the state of Arkansas. Their grotesque plan to speedily execute 8 men in 11 days hasn’t gone as smoothly as anticipated, with multiple last-minute appeals and stays. One man, Ledell Lee, was executed last night, before the DNA in his case could be tested. He had long maintained his innocence of the crime. At around 9 PM on June 11th, 1994, Belynda Goff saw her husband, Stephen Goff, alive for the last time. Belynda and Stephen were spending a quiet Saturday evening at home. It was a typically warm summer night in Green Forest, Arkansas, a small city of less than 3,000 in the Northwestern tip of the state. At a few minutes past 9, Stephen received a phone call. After a brief conversation, he told Belynda that he was headed to the nearby convenience store for cigarettes, and left the family’s apartment. Belynda stayed on the couch in the living room, eventually nodding off in front of the television. She roused herself around 10:30, turned off the TV, and went to bed alone in the master bedroom. Sunday, June 12th, would have been a typical work day for Stephen. No less than 7 hours had passed when Belynda was awoken – with still no sign of her husband — by the early morning alarm. After snoozing the alarm for several minutes, she got out of bed. When she entered the living room, it was Stephen’s lifeless feet that she saw first, barely visible from behind a low wall. As she moved closer, she saw blood splatter on the wall and door-frame behind his body. She shook his foot in an attempt to rouse him, and then began to scream. Belynda placed a call to the operator immediately, and pleaded for help. The EMTs and the Green Forest police officer arrived not long after. After spending just a few minutes at the scene of the crime, the police drew up a hypothesis: Belynda had killed her husband. This rushed theory sparked a very human (and very dangerous) condition, one that ensnared the entirety of the case, and, ultimately, the next 22 years of the Goff family’s life. Tunnel vision. Tunnel vision is what caused the police to ask Belynda, as she was sitting on the front step, attempting to compose herself just after finding her husband’s body, where she “hid the gun”. Tunnel vision is what caused the police to test Belynda’s hands for gun residue, when Stephen hadn’t even been shot – he had been bludgeoned. Tunnel vision is what caused police not to dust for fingerprints on either side of the doorknob. (At trial, when asked why he neglected to look for fingerprints, the detective replied, “I did not try to find prints at any particular point in the apartment…I had already made up my mind that it was not necessary.”) Tunnel vision is a widely acknowledged investigative bias that has had a corrosive effect on the cases of hundreds – if not thousands—of innocent people. It prompts an intense focus on a theory of events, and, like putting blinders on a horse, cuts off the import of any evidence that might contradict the initial theory. It is not a phenomenon exclusive to police; prosecutors, defense lawyers, judges, and jurors alike are all susceptible. But it’s the most destructive at the level of initial investigation, since all of the ensuing processes will feed off the first clues and theories culled by police. The initial, unfounded suspicion of Belynda’s guilt led investigators – and eventually prosecutors, jurors, and a judge – down a rabbit hole of erroneous interpretations and outright fabricated evidence. 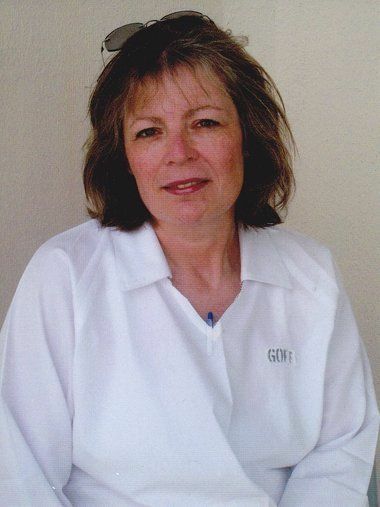 She was arrested, tried, and, in 1996, convicted of first-degree murder. But perhaps, if the proverbial blinders had been taken off from the outset, the police would have been able to properly investigate the crime. If they had, here’s what they would have found. In the year leading up to his murder, Stephen Goff was becoming precipitously involved in an arson scheme in Flint, Michigan. Though he was not called upon to testify at her first trial, Belynda’s brother, Chris Lindley, eventually testified at her appeal that Stephen had repeatedly tried to solicit Chris’ involvement in the arson of a building in Flint, which would purportedly conclude with a reward of a large sum of money (to the tune of $10,000). Chris initially agreed to participate in the arson, but changed his mind and backed out soon after. Stephen was terrified when Chris relayed his change of heart, telling Chris that he had already spent the money and would surely be killed if they didn’t both go through with the crime. A few short days later, Stephen was found dead. Two days after his murder, Chris received a phone call threatening his own life; he was told that if he spoke out about the arson plans, he would find himself…”… laying [sic] right next to Steve. You will be dead; your family will be dead.” Panicked, Chris changed his number and moved his family. He’s now completely off the grid; his home has fallen into foreclosure and he hasn’t been heard from in over 5 years. The fear for his safety coupled with the burden of having a sister sentenced to life in prison for a crime she did not commit has effectively robbed him of his own life, too. And his fears were not unfounded: a little over a year after Stephen’s murder, the Goff family home was burned to the ground in a yet-to-be-solved arson. The jury at Belynda’s trial heard none of this. On June 11th, before Stephen’s death, a neighbor of the Goff’s called the police to report two suspicious men skulking around the apartment complex, often returning to their car, which had two baseball bats visible in the backseat. She initially reported the men out of fear for her children’s safety, but called police again to reiterate what she had seen after hearing the news of Stephen’s death. Other neighbors corroborated seeing the strange men. Another man came forward to police, telling them that in the early hours of the 12th, he and a friend heard a group of men discussing a “blood bath” in Green Forest, saying that someone had been badly beaten with a baseball bat. One of the men, they reported, had been carrying a baseball bat. Perhaps what is more shocking than what was not revealed to the jury, however, were the flat out lies that they were told. The prosecution claimed that no one could possibly have left the apartment after the murder, because of the positioning of Stephen’s body by the front door. But people did enter and exit the home – the EMTs, the police, and Belynda and her son after the authorities arrived. Once police latched onto the theory of the murderer remaining in the apartment, they had to find a murder weapon. The prosecution posited that a hammer found in the Goff’s home must have been the weapon, even though extensive testing revealed no evidence of blood. At trial, the jury was told that the hammer from the Goff’s home was unequivocally the murder weapon. The defense raised no objection. A thorough search of the Goff’s apartment also found no blood – not in the laundry, not in the bathroom, not in the bedroom, not on any clothing. A minute DNA sample pulled from the bathtub drain was found to be consistent with Stephen Goff, but the presence of a man’s DNA in his own bathtub is hardly a smoking gun. Despite the sample being infinitesimally small, the jury was told that the lead investigator discovered enough of Stephen’s blood in the shower drain to “run down his hands.” Undeterred by the dearth of real biological evidence implicating Belynda, the prosecution posited that she must have cut up her bloodied clothes and flushed them down the toilet. During the investigation, police were so desperate to find any evidence pointing to Belynda’s guilt that they sent a team to the local sewage facility to search for the (non-existent) bloodied clothes, despite the fact that the theory had been concocted out of thin air. The multiple reports of strange men around the Goff’s building in the days preceding the murder were not once followed up on.